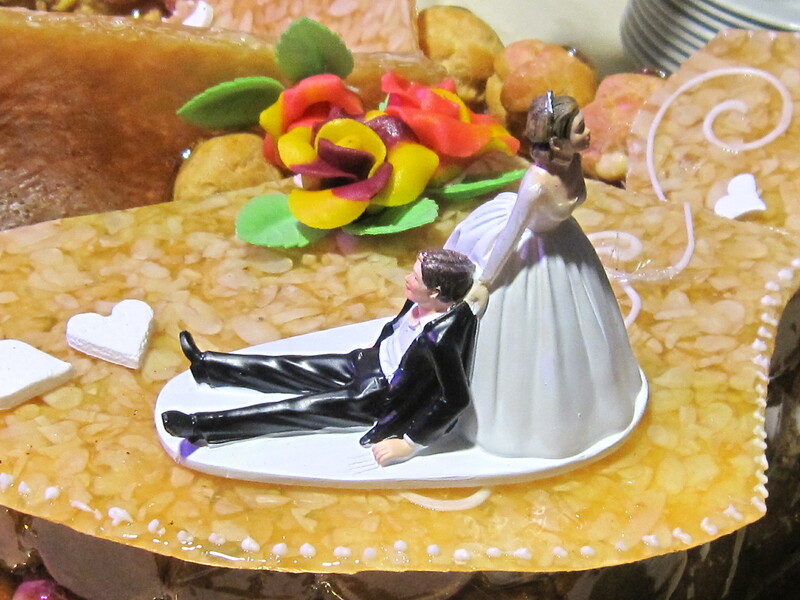 This was the top of my niece’s beautifully decorated French wedding cake, with yummy “nougatine”. Nougatine is basically a mixture of almonds and caramel. Wonder who proposed? Looks yummy and the figurines are fun. Never saw one quite like them. Cute! I was surprised to see them too. And yes nougatine is so yummy especially when the carmel is this golden colour. Yeah My niece has a bit of a strong personality as you can see. Yeah they surprised me too.